An Israeli company has developed the first molecular sensor that fits in the palm of a consumer’s hand and reads the chemical makeup of materials, including nutritional value. 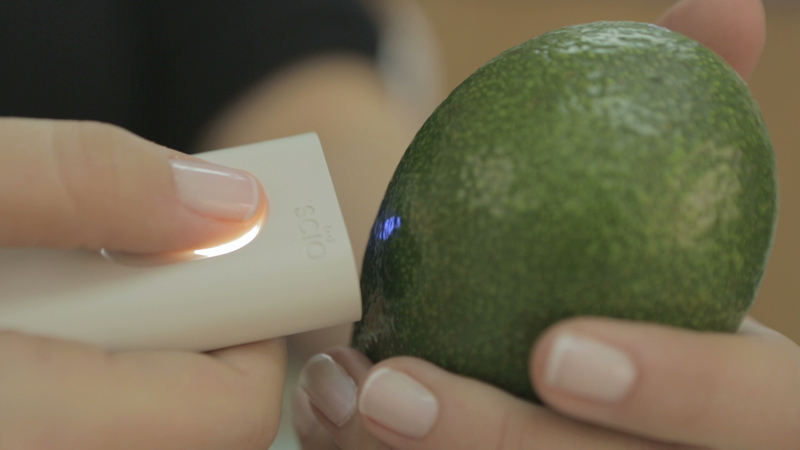 The SCiO, which has been developed by Israeli company Consumer Physics and is set to be launched in July 2015, is a non-intrusive, no-touch optical sensor that can analyse the chemical makeup of food, plants, medication, oil and fuels, and plastics. Obtain nutritional information about different kinds of food: salad dressings, fruits, vegetables and dairy products. Other apps for drinks, meats, ripeness, and more will be released on a regular basis as the Company’s database expands. Obtain instant information about cooking oils. After SCiO is released in July 2015, Consumer Physics said new applications will be developed and released regularly. “The power in our pockets is phenomenal, but one piece is missing, and that’s information about the things in our physical world – everything from food to medicine to fuel,” Dror Sharon, Consumer Physics cofounder. “That’s the basic need we’re trying to answer,” he said. Spectrometers used for near-IR spectroscopy are normally found in scientific laboratories and are very big and expensive. Designed for consumers, SCiO leverages a tiny spectrometer, designed from the ground up to be mass-produced at low cost. Consumer Physics said it achieved this advancement by reinventing the spectrometer around low-cost optics and advanced signal processing algorithms. To deliver relevant information in real time, SCiO communicates the spectrum of the sample to a smartphone wirelessly, which in turn forwards it to a cloud-based service for review. Advanced algorithms utilise an updatable database to analyze the spectrum within milliseconds and deliver information about the analysed sample back to the user’s smartphone in real time. More information can be obtained from the Israeli company Consumer Physics.